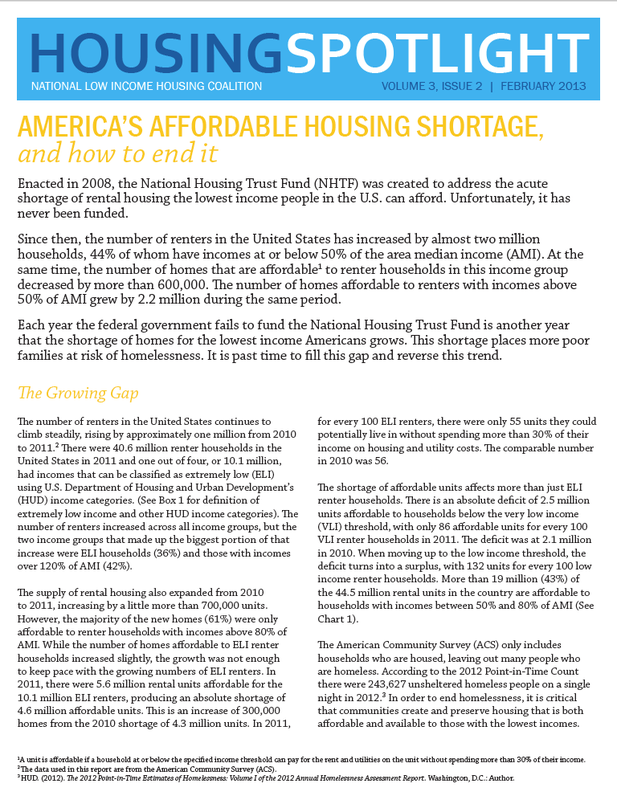 Our national partner the National Low Income Housing Coalition published this spotlight on the housing gap for low-income households. In 2011, in Washington State, for every 100 extremely low income households, there were 27 affordable and available units. And for every 100 very low-income households, there were 55 affordable and available units. This means that Washington State is one of 13 states that's below the national average of affordable and available units for extremely low income households.